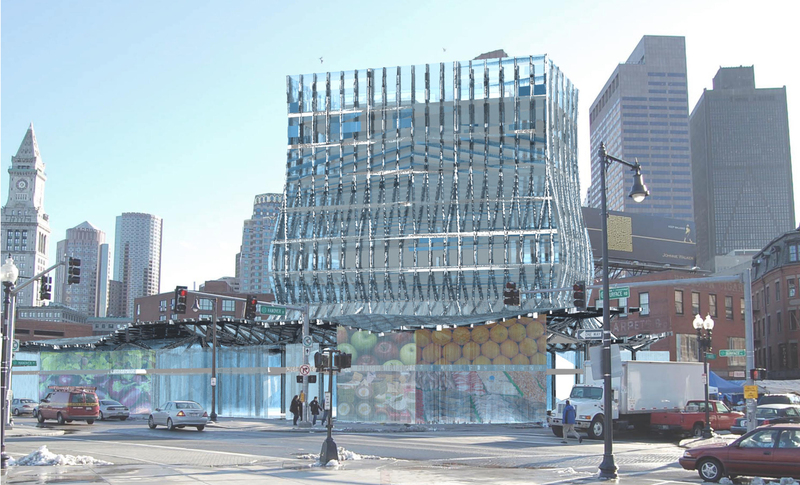 The private/public development relationship of the Boston Public Market calls for a design scheme that responds to each program distinctively yet also cohesively. Together, the development extends the pattern of the historic fabric, utilizing the old foot paths to create new paths. In the market, these paths become the organizing circulation, dividing up the major produce sections. The market sprawls across several new ‘blocks,’ each block containing a division of the market function. One block, fronting the new greenway, is set aside for the access to the private development office tower which is juxtaposed to the horizontal market in both sectional orientation and plan orientation. 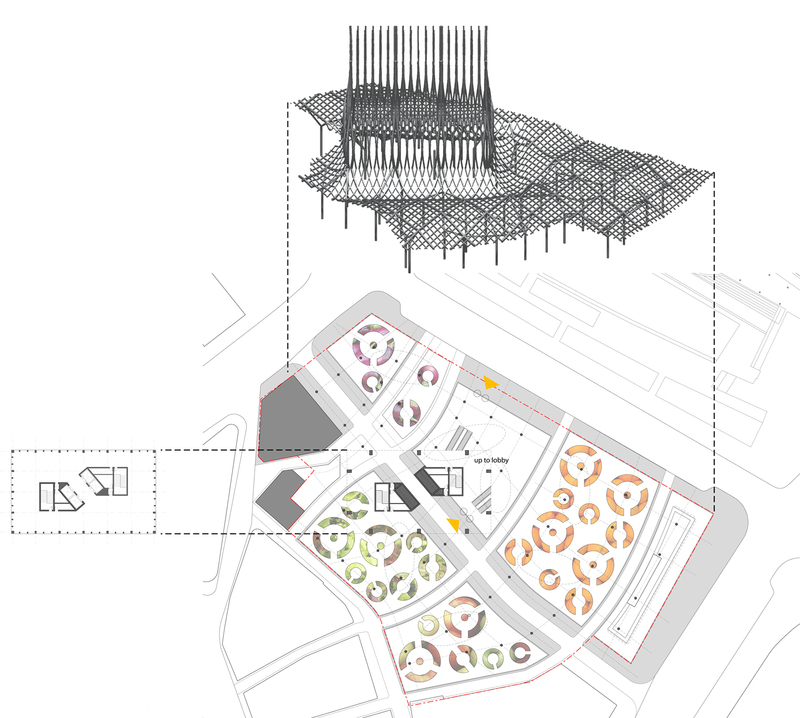 The market responds to the fabric of the city, while the office tower take advantage of the large site area to shift its orientation for ideal solar exposure. Both programs are skinned in a modulating glass surface that ties the juxtaposed programs together.